As the year draws to a close and plans for the upcoming year begin, many business owners and managers examine their finances and look for opportunities to improve their processes. 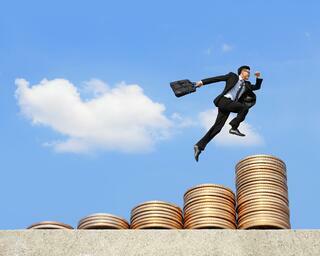 Having adequate cash flow is arguably the most important component of business management. There are some techniques to help your business cash management that will not involve getting a loan. Invoice factoring presents your company a great option to accelerate cash flow and avoid the need for loans. Tens of thousands of businesses have successfully taken advantage of this proven service. Basically, invoice factoring provides a way for a business to sell its accounts receivables balance to a service provider, who in turn delivers funds immediately to the business. Any balance from the transaction, less service fees, is forwarded to the company. Your business gets a boost of cash quickly – you do not need to wait on invoice payments in order to move forward with your business initiatives. There is minimal risk – because the transactions are handled transparently and all parties can clearly understand the process. Available at any time – your business can take advantage of invoice factoring anytime you need. The monies can be used to launch marketing campaigns, new product launches, expand your territory, or simply to get ahead of debt. Size doesn’t matter – companies of all sizes and industries can utilize invoice factoring as long as they have an accounts receivable balance to manage. A one person consulting company or a one thousand employee manufacturing company can realize the benefits of factoring. Presenting your accounts receivable records to the service provider of your choice. The provider will determine an initial estimate of the cash that can be made available, pending review. The review of your customer accounts will determine the creditworthiness and help the factoring provider with a final quotation. Invoices are also reviewed to confirm they are valid. Typically in a week or less, your business receives a cash payment for the amount determined. Your customers are notified to make payments to your factoring provider. As payments are made they are applied to the factored balance. Any remaining difference, less a service fee of two to six percent, is passed to your business account. Most companies can easily take advantage of this service. Some businesses that have a significant number of delinquent accounts may not qualify. Once the factoring transactions are completed you can use the service again or resume normal activities. The factoring service provider that you choose should be trustworthy and helpful. Consider using a factor that has online access to manage your account and is attentive to your unique business needs. The best factor for your business can become a long term partner that will help you to grow and achieve your company goals. Contact our team at Bay View Funding if you would like more information from, or about, our reputable company that’s been in operation since 1985.